Head Coach of LPC Triathlon Club, winners of 2018/2016/2015/2014 Triathlon Ontario Club Championships. LPC Triathlon Club wins inaugural Triathlon Canada National Club Championships. Team Canada Head Age Group Coach at the 2016 ITU World Triathlon Championships. Awarded Triathlon Canada Age Group Coach of the Year, 2015 & 2013. Team Canada Age Group Coach at the 2015 ITU World Triathlon Championships. Helped establish the LPC Hurdle Project, since 2014. Recipient of University of Windsor Alumni Association Odyssey Award, 2013. 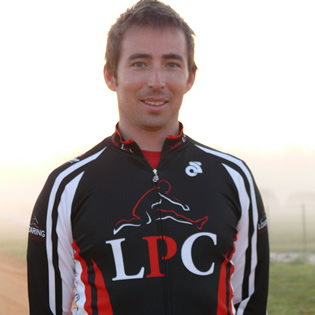 Co-Founder & Head Coach of the LPC Triathlon Club, since 2013. Founder & Race Director of westMONSTERrun, since 2012. Founder & Race Director of Loaring Run Under The Sun, 2011-2014. Certified Triathlon Ontario Draft-Legal Instructor, since 2010. NCCP Competition Triathlon Certification, since 2009. Recipient of Triathlon Ontario "Mr. Triathlete" Award, 2008. Launched Loaring Personal Coaching (LPC), President & Head Coach, since 2007. Helped launch Loaring Physiotherapy & Health Centre, Consultant, since 2005. Inaugural Quest For Gold recipient, 2005. Helped establish the Elena Loaring Memorial Fund for Breast Cancer Research, since 2004. Participation at numerous ITU Pan American Cup Triathlons, 2003-2008. Represented Canada at seven ITU World Cup Triathlons, 2003-2007. First year racing at the Professional triathlon level, 2003. Awarded Triathlon Ontario & Triathlon Canada Age Group Triathlete of the Year, 2002. Bronze Medal winner at the ITU World Triathlon Championships (M25-29), 2002. Canadian Triathlon Team Member at the 2002 FISU World University Games. First representation at the ITU World Age Group Triathlon Championships, 1999. Founder & Co-Race Director of the Loaring Triathlon, 1999-2012. Seven OFSAA Gold Medals in swimming, 1993-1996. First representation at the ITU World Junior Duathlon Championships, 1995. Canadian Kids of Steel Champion (M15-18), 1995. First triathlon, Kids of Steel Leamington, 1993.